As far as anyone knows, Karou is just a normal girl attending a high school for the arts in Prague. A girl with a talent when holding a pencil that does wonders in a sketchbook. And as far as anyone knows, the images inside Karou's many sketchbooks are part of her evocative imagination, and when people ask what Issa has been up to they expect that her answer is part of an overall story with an ending only Karou can tell. With a wink and the right tone of voice, the truth is easily painted as fiction with no questions asked. That is until her routine, but curious life is upended with a visitor she didn't know to expect and an answer that, like Karou's images, was hiding there all along. Daughter of Smoke and Bone is easily one of the best books that I've read this year, and I would go so far as to place it in the top five. Usually with a book the notion that it is incredibly original and refreshing would outweigh a lot of things, but the fact is that the crafting of this story far outshines everything else. If this book were set in the United States it would not have had the impact that it did; the fairy tale background of Prague evoked such strong imagery and a sense of unmarred age that it lent itself well to the story that played out on its streets. I'd almost say that the setting of Prague was the custom-fitted costume that the characters wore to great effect. And what is a well-designed costume without actors that can do it justice? The characters in this story, very much including the secondary, were perfectly fit. I think it will be difficult not to like Karou, who is smart, strong, and loyal. When Karou got mad, I was angry. When Karou was upset, I wanted to know more along with her. She is definitely a character that I would love to hang out with, especially if it was with her best friend, Zuzana - a sassy little thing with a clever tongue and an impeccable sense of style. The rest of them were amazing, too, but I don't want to give too much away. I will mention, however, that my favorite of the characters is probably Brimstone, but I'll let you find out for yourselves. 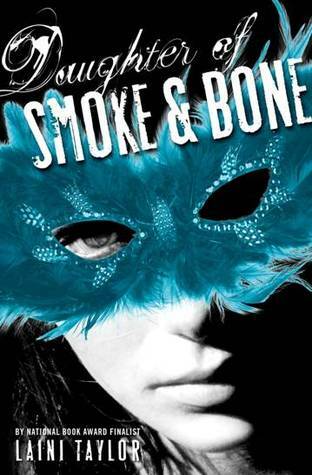 Daughter of Smoke and Bone is a book that I was left thinking about for days after I finished, and it's one where you'll be very much glad that it's part of a series. With a wonderful cast of characters and a take on mythology that's refreshing in its originality and depth, this is a book that you won't want to miss. I'm not sure where the next book is going to go, but it's a journey I'll definitely be pre-ordering. Click HERE to enter your information into the form! Thanks to everyone for being amazing. When the sixteen-year-old runaway Chap is mistaken for a missing boy named Cassiel, his life changes dramatically. Chap takes on Cassiel’s identity, gaining the family and friends he’s always dreamed of having. But becoming someone else isn’t as easy as he hoped—and Chap isn’t the only one hiding a secret. As he teeters on the brink of discovery and begins to unravel the mystery behind Cassiel’s disappearance, Chap realizes that he’s in much deeper danger than he could have imagined. To be honest, the cover very much reminded me of Unwind and that's what caught my eye originally. However the story sounds mysterious and upon reading the synopsis it's something I want to know more about. I enjoy a good mystery, especially if it's one without any sort of specific genre and just tells the story of a boy who knows nothing - and neither does the reader - until you pick up the book and read along with his story. This week it's a topic that I'm excited about, because I love seeing what books you guys are excited about! I know, lots of excitement in one sentence. Top Ten Books On My TBR List for Fall 2011: Including some books that I've read/reviewed but haven't been released. 1. 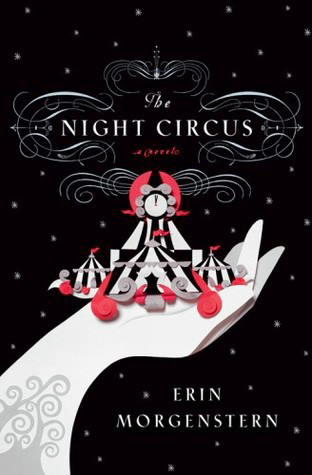 The Night Circus by Erin Morgenstern (9/13): I sort of loved this book beyond words. The characters were so completely delectable and the prose breathtaking. Mainly I want you all to read it so we can discuss it - I want to talk about this book! I'm hoping The Book Depository will offer the UK hardback up for sale soon, as I'd like to see it sitting pretty next to my eventual US copy. 4. 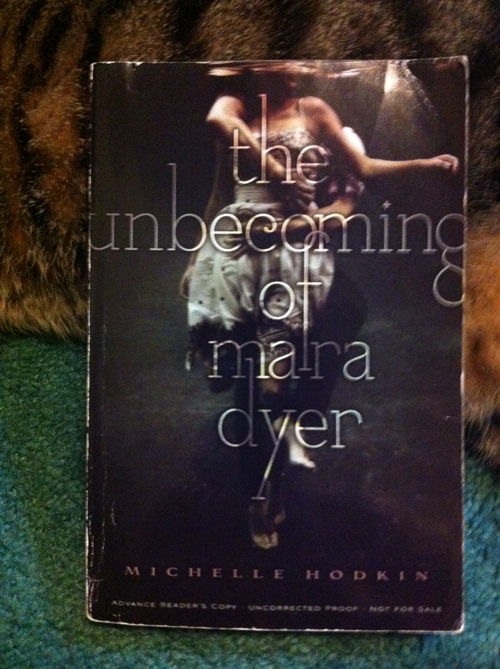 The Unbecoming of Mara Dyer by Michelle Hodkin (9/27): Oh, this book. This is one I loved in ways that I could never have expected and I think I'll be as excited to receive the finished copy in the mail as I did the ARC. While there's a lot you may or may not have heard about it, please let it be one that you try out for yourself. It's worth it. 5. The Girl of Fire and Thorns by Rae Carson (9/20): I have one more book to get to before this one, but I'm so incredibly excited for it. I've heard such amazing things and it's been a few books since I've read a good fantasy I can sort of sink my teeth into and I'm hoping this will be the one to do it. 6. Ship Breaker by Paolo Bacigalupi: The Windup Girl has actually been on my TBR longer than this one, but I only saw this one and so I immediately snatched it. It's a dystopian, which I love, but the story has a strong nod to the present day - all of the markings of a book I think I'll very much enjoy. 7. Lola and the Boy Next Door by Stephanie Perkins (9/29): I read Anna and the French Kiss on Saturday as my happy-thoughts-during-an-impeding-hurricane book and loved it. I'm going to say that it's pretty much impossible not to like this one. Anna was such a great character, and everyone wants an Étienne. Lots of people have said they liked Lola more, which seems like big shoes to fill, and I can't wait to find out. 8. Prized by Caragh O'Brien (11/08): I feel like I've been waiting for this one for ages and ages. I was just approved for it on NetGalley and am waiting until closer to the release date to start it - and boy is it hard. 9. The Girl Who Circumnavigated Fairyland in a Ship of Her Own Making by Catherynne M. Valente: I'm quite embarrassed that I haven't gotten to this one yet. I...really want to read it. I think I'll have to remedy that soon, considering it's sitting on my shelf. 10. Sequels I've been waiting for: Crossed, The Iron Knight... what else? I'm cheating, but it's my list, so I'm permitting myself. What about you guys? What's on your list? And, Goodreads, please come back to life. I miss you. I'll catch up with your mailboxes after Tangled. And a nap! Stay safe, everyone. But behind the scenes, a fierce competition is underway—a duel between two young magicians, Celia and Marco, who have been trained since childhood expressly for this purpose by their mercurial instructors. Unbeknownst to them, this is a game in which only one can be left standing, and the circus is but the stage for a remarkable battle of imagination and will. Please keep in mind that I have edited the goodreads summary to remove what I consider to be spoilery mentions. Trust me, this is not a book you want spoiled. Every now and then you read a book that sweeps you up, pulls you in, and wraps itself around your heart. The Night Circus is indubitably one of those books. A book doesn't always have all of the qualities a reader might be looking for: intricate - but not overbearing - world building, depth of character, and well-worded prose that aids the crux of a tightly plotted story along. This one has all of them; and did I mention it was a debut novel? There is nothing in The Night Circus that would suggest it was anyone's first foray into releasing a story and instead reads as if Erin has been writing all her life. Although The Night Circus is not YA and should be classified as and considered adult literature, it's a story that anyone can read and fall into. I'd also like to stress that I'm not much of a circus lover, and if that's you too don't let it dissuade you. While the story is very much about a circus, it's also very much not. It's about exploration and discovering your surroundings and how you fit and work with them. It's also about choice and the illusion thereof. So many of the characters are intertwined in ways they can't even imagine and figuring everything along with them was such a delight. The chapter heads are each given a date, and at the beginning I was flipping back and forth between varying timestamps to piece things together but then it all falls into place and I unconsciously ceased looking. This was one of my favorite of the books plot techniques, as it was able to give the right information at the right time in a manner that wasn't overt but instead subtle and quite clever. I loved all of the characters, even the dastardly ones, as they all had their reasons and purpose and were just so perfect in making me believe the setting. And I particularly loved seeing bits and pieces about the characters in the beginning that just seemed like a regular bit of detail for them but later turns out to be much more intricately entwined into the story. I've seen comments elsewhere about Celia and Marco and how what happens with them seems rushed, although I didn't feel that was the case. Their story unfolds from the very first page and while nothing is obvious, it's definitely there - some of my favorite moments from them are from earlier on. This is a book lover's book, one you can sink your mind into for days and one you never want to end. As a note: if you prefer audiobooks, keep in mind that Jim Dale will be narrating this one and it's already sounding amazing. 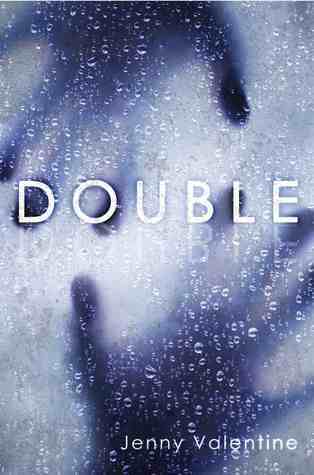 Thank you to Erin Morgenstern for writing and for Doubleday for giving it a chance; this is a book I'm incredibly thankful to have had the opportunity to see it published - my copy is definitely pre-ordered. Hi, folks! Due to the impending arrival of Hurricane Irene, and my living in New York, this blog may be offline for a few days until everything calms down again. As of tomorrow the MTA is shutting down all public transit so it's going to be a mess, and we may or may not lose power, depending on how things go. The start of the semester for uni has also been delayed due to the weather (and due to no one being able to get there without the subways/trains!) and so I'll be dealing with that into next week, as well. I'm going to try to record another IMM vlog tonight as I don't anticipate receiving any more books for the week, and I broke my book buying ban again as Borders raised their sale to 50% off. If I don't, I'll post it sometime early in the week. To everyone on the East Coast: Be safe. Be prepared. And check in when you can. Otherwise, have a good weekend! Q: In books like the Sookie Stackhouse (True Blood) series, the paranormal creature in question 'comes out of the closet' and makes itself known to the world. Which mythical creature do you wish would come out of the closet for real? When I saw mythical creature I immediately thought of a non-humanoid one like a unicorn or a pegasus - both animals that I would definitely love if they came out of the closet and into my life. If we're talking people, then I think I wouldn't mind the types of beings from the Vampire Academy series. I never thought I'd be saying that as I'm not a huge vampire or werewolf person (VA and Shiver aside respectively) but the dynamic between the Moroi and the Dhampir were incredibly fascinating and I wouldn't mind learning more about it. If it gave me the opportunity to have a drink with Rose and meet Dimitri, please, sign me up. I could do without the Strigoi, though. They can stay home and play in their own sandbox. 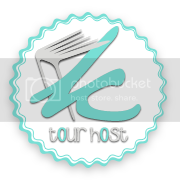 And the random return of the Book Blogger Hop! Q: Non book-related this week! Do you have pets? Oh boy. I do indeed have pets. In fact, I just brushed off some Tigger fur from the screen. I mention this in my who, me?, but I have three cats. Two were mine previously (a lovely tabby and a tortoiseshell), and then we have a third, a cat who must have been abandoned by a family who moved away and little by little we took fed her until she just moved in with us completely. She's a pretty black and white (mask and mantle) kitty, and is probably the sweetest most well-mannered cat that I've ever met. I've never shown pictures of her, but you can see Tigger in most of my vlogs and here, and you can see Sora in my 200 Follower Giveaway post (which is still very much open, so enter away!). As you might have guessed, I love animals. 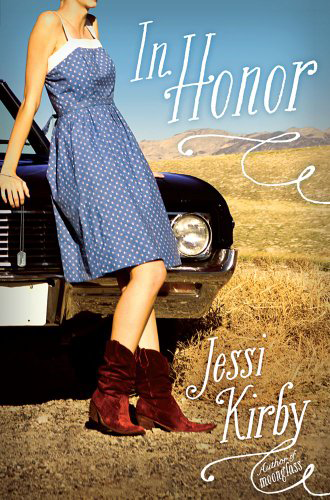 Although I didn't get to post this week's top ten list, Moonglass by Jessi Kirby would have been one of the books that I loved but never had the chance to review. It was a book I enjoyed reading and found it to be much more than it seemed, and so when I found out that she had another book coming out next year about a road trip and a definite sense of personal exploration, well, it was an automatic add to the TBR. And, really, how could you not love that outfit? (I would wear those boots in an instant.) It almost seems like an updated version of Dorothy Gale, and if it turns out that Honor is from Kansas there will be much understanding nodding on my behalf. This got me thinking: what is it for you guys? What is that certain element about a book that just clicks everything together for you? Setting, words, description - you name it. The year is 2032, sixteen years after a deadly virus - and the vaccine intended to protect against it - wiped out most of the earth's population. The night before eighteen-year-old Eve's graduation from her all-girls school she discovers what really happens to new graduates, and the horrifying fate that awaits her. 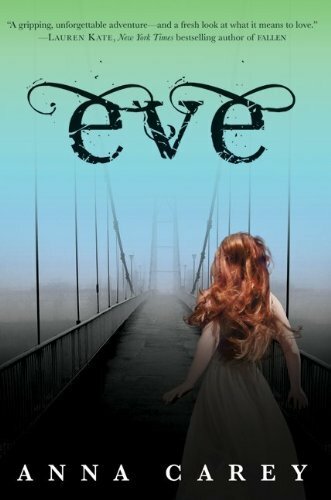 Fleeing the only home she's ever known, Eve sets off on a long, treacherous journey, searching for a place she can survive. Along the way she encounters Caleb, a rough, rebellious boy living in the wild. Separated from men her whole life, Eve has been taught to fear them, but Caleb slowly wins her trust... and her heart. He promises to protect her, but when soldiers being hunting them, Eve must choose between true love and her life. Eve has never left the walls of her school, and never had a need to. Ever since she ended up there she's been a model student: top grades, is friendly and welcoming to her peers, and follows the guidelines of the School to the letter of the law. After she leaves the school she has plans of being an artist, cheering up people with her work. That is until on the eve (pun intended) of her graduation she finds out - with the aid of a classmate, Arden - that graduating from the School isn't all it's cracked up to be and escapes, leaving everything behind. As someone who lives for dystopian fiction, the idea of a virus and its ramifications on society sounded like something that I'd love to read. However, for me Eve was more of a story between two people that just happened to be set in a world where strange things were happening. The idea behind the book is that 98% of the population succumbed to the virus, leaving the country something of a barren wasteland, now ruled by a monarch. The premise was startling until Eve left the school; after that is where things began to fall apart for me. After stumbling upon Arden - in an awkward manner that disagrees with their first encounter earlier on - they literally are saved by a boy on a horse. The boy, Caleb, ends up being Eve's way of figuring her new world out. This I have no problem with, but the idea that a girl - for she is definitely that, a girl - would willingly and so quickly begin a relationship with the first male she had ever seen is not only incredibly unlikely but it almost seems unhealthy. Beyond this, that their new group - composed of only boys plus Eve and Arden - would take a trip to an enemy bunker for candy, end up drinking alcohol and spending the night there is wholly unconscionable. Not only does it not make any sense for fear of having the soldiers return, but to so easily sleep so near intoxicated people did not sit well with me. Not only did Eve make a lot of bad decisions, but for someone trapped beyond walls for over a decade of her life, her knowledge of small things outside appeared too extensive to be entirely believable. While this is a book that I had been waiting quite awhile for, unfortunately it's not one that I can say that I truly enjoyed. This is a quick, fairly fast-paced read that I think a lot of people will love, but I would have to qualify it as dystopian-lite. As of now I'm undecided on reading the sequel, although I'm slightly curious to see what happens in the evolution of Eve as a character. 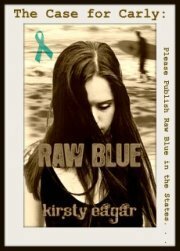 Thank you to Net Galley and HarperTeen for Eve, and GalleyGrab and Simon & Schuster for The Pledge. 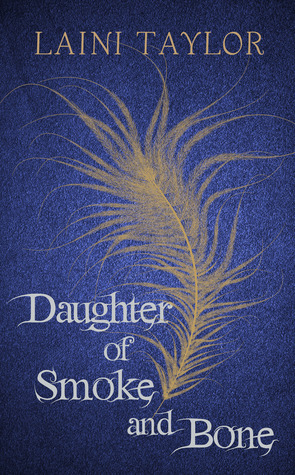 Thanks also to Once Upon a Twilight for the giveaway of Daughter of Smoke and Bone. Q: If you could write yourself in a part of a book, what book would it be and what role would you play in that book? Okay, so I'm going to cheat a little because my mind thought of two immediate places that I would like to be. One would be Harry Potter and the Half-Blood Prince; as I've said a few times before, Severus Snape is my favorite character and I would love to be involved somewhere in this scene - which I know is not in the books per se, but I could see it there - right before he has to kill Dumbledore. I would imagine he would have a lot on his mind before he went up to the tower and I'd play some character that got to talk to him beforehand. 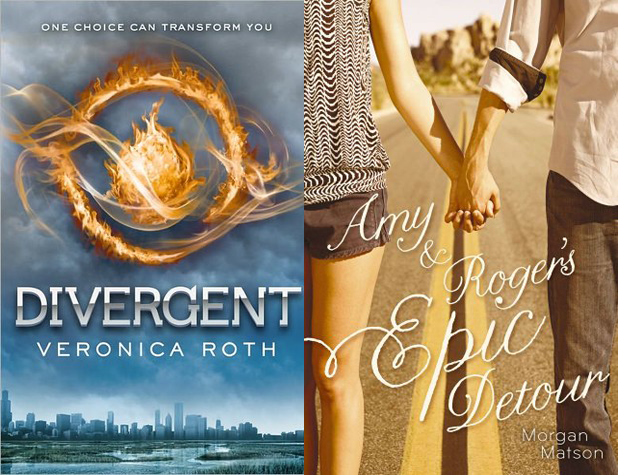 The other would be in either The Hunger Games or Divergent, or something similar. I think part of the reason that I so love dystopian fiction is because I'm also a human rights student, and the academic me wants to explore situations where such oppression is possible and to see how people act to remove themselves from it; giving themselves and others an extreme sense of empowerment. I've always been interested in this and am even more so now that I'm formally studying it. While I'm not sure I could mentally handle being Katniss, I wouldn't mind stepping in her shoes for awhile. Tris doesn't have to deal with quite as much, but she's still pretty fierce in her own way. Although if I were her, I'd probably have gotten myself into a bit more trouble. 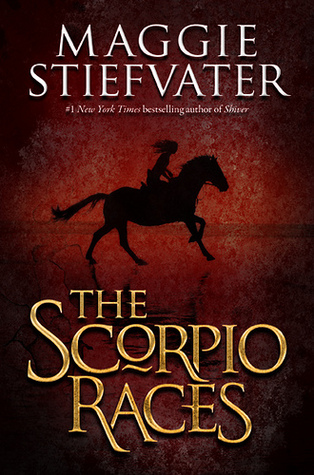 It happens at the start of every November: the Scorpio Races. Riders attempt to keep hold of their water horses enough to make it to the finish line. Some riders live. Others die. Although I have no other idea of what this is going to be about, I've been entranced with this book since I first saw the cover. I can't get the idea out of my head that it looks like a fresco - and since I spent a lot of my life studying Mediterranean art it's all I can think of! If this is set in the Roman period I think I'll just melt into my chair with happiness. 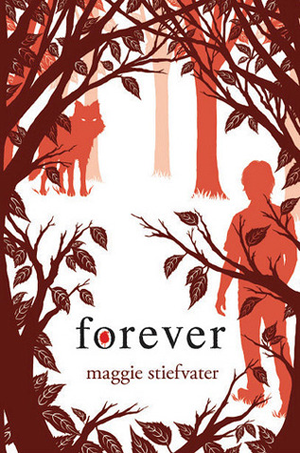 That timeframe has so much potential, and with the lyricism of Maggie's words it's strife with possibility. This is a book that I very much cannot wait to get my hands on and experience. What would you do if you had to piece your memory together fragment by fragment? That's a question Mara Dyer wonders on a daily basis. Mara wakes up in the hospital after an accident she has no recollection of and that's when it begins: the familiar voices, the faces that can't possibly be there. Hoping that moving from the area - and the change of scenery - will provide some measure of help, the Dyer family moves to Miami. The visions, if anything, progress, and as Mara starts to question her grasp on reality she finds an anchor in someone wrapped up in a mystery of their own. And this is just the beginning. While there is so much hype for this book, I can safely say it will be nothing like you could expect. 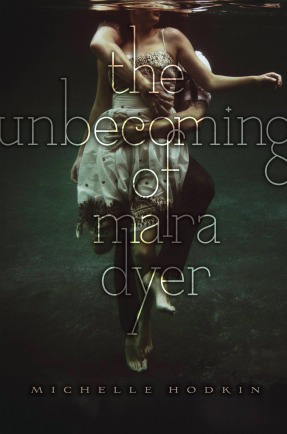 From page one The Unbecoming of Mara Dyer took me on a ride where it was impossible to guess what was coming up and the twist and turns were thrilling not only for the reader, but for the characters themselves as they found out at the same time each new piece of information. You might never guess that this is Michelle Hodkin's debut work as everything about it is so exquisitely crafted from cover to cover: the supporting characters (especially Mara's family), the pacing and setting of each scene that offered just the right amount of information in the proper places to keep the flow on point, and especially the suspense. It's safe to say that I had no clue what to expect, but that in no way detracted from my enjoyment of the story and when it ended it left my mind reeling almost if I had just experienced everything as Mara. In fact, Michelle made that lack of information work beautifully in her and Mara's favor, and even as I read I found myself stunned by how well everything was laid out. I had heard a lot about the (in)famous Noah Shaw before I'd read the book and suffice to say I was curious as to what this mystery boy offered that made everyone fall in love with him. Well, I found out. Noah isn't perfect. He's arrogant and occasionally smarmy and outrageous in so many ways. He flits about in such a manner that creates buzz without the aid of the gossip mill. And yet, unlike a lot of recent YA male interests, these potentially unappealing characteristics are not what make Noah interesting. What made Noah work for me is that he took all of these traits and wrapped them around him and made them into a ruse all his own. That Mara was able to peel each layer back like an onion and slowly figure out exactly what his story was and why he acts the way he does was a huge part of it. Noah Shaw is perhaps the most realistic of male teenage characters that I've read in a YA novel in a long time and this, above all, makes him stand out. The fact that Mara and Noah balance each other out so perfectly and on stand such equal footing (and respect each other) was just icing on top of the cake. I have some exciting books this week! And I'm off to Borders after this, so I might have to put in an addendum. Thank you to Samantha of Living Little Women for this ARC. I've been looking for a different sort of YA, something that's more of a mystery/thriller and this one's had quite good reviews so far, so I'm looking forward to starting it. Thank you to Feiwel & Friends for sending a copy of this my way. This is second in the Halo series, and I haven't read Halo yet and so I'm going to see if Borders has it so I can properly review it. 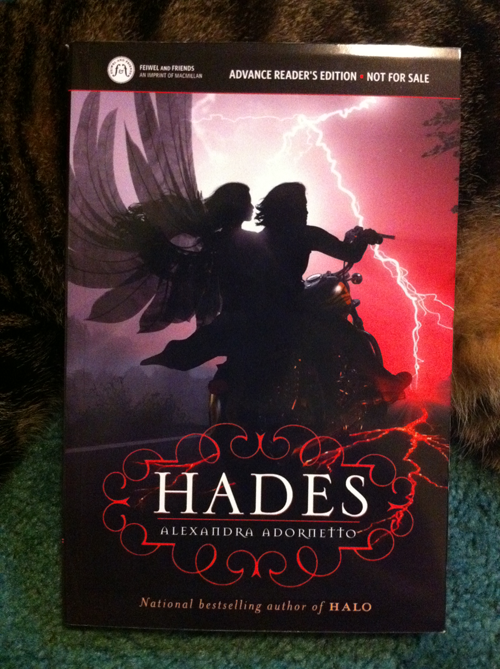 The cover looks fun, and it seems to be about angels, which is something I haven't tried in a while. 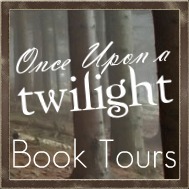 Thank you to Once Upon a Twilight for letting me participating in the ARC tour for Mara Dyer. I will be reading this one today, so you can expect a review to be up within the next week or so. I'm all sorts of excited for this one, and can't wait for my finished copy to come! Cascade is second in the River of Time series, which is one I find to be incredibly engrossing and have pretty much fallen in love with. I'm going to try my hardest to put up reviews of this and Waterfall in the next few days, even if they're mini-reviews. 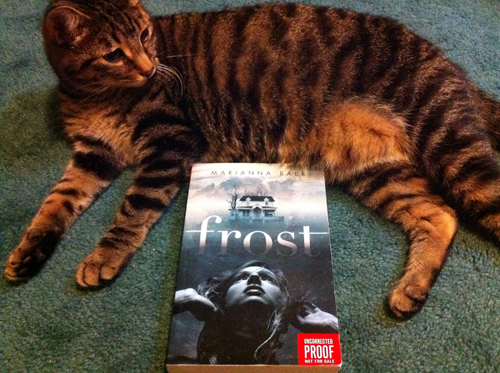 As I was preparing to take a picture of the first book, Tigger curled up around it and so I used him as a backdrop/prop for the rest. Thanks, stripes, for being such a handsome model. There are the truths that Lexi has heard all her life. But when an actual stranger - a boy who seems to fade like smoke - appears outside her home on the moor at night, she knows that at least one of these sayings is no longer true. The next night, the children of Near start disappearing from their beds, and the mysterious boy falls under suspicion. Still, he insists on helping Lexi search for them. Something tells her she can trust him. 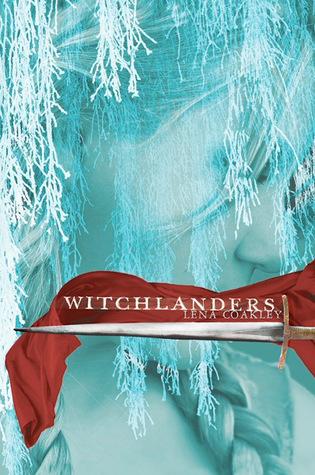 As the hunt for the children intensifies, so does Lexi's need to know - about the witch that just might be more than a bedtime story, about the wind that seems to speak through the walls at night, and about the history of this nameless boy. The book begins with these two lines and the beginning of a tale that's circulated Near for generations. Lexi lights the match, picks up her father's worn journal, and begins to verbally retell the story that she and her sister, Wren, know by heart. The town of Near is settled near the edge of a moor, which is the heart of the story of the Near Witch; a story that whispers in the wind and, true or not, has a resounding effect on everyone who abides there. During this particular retelling she spies something outside the window. The something is a someone, a he, and is no one she's ever seen before. The next day the story of a stranger in Near has everyone abuzz. The day after that the children start disappearing. Fingers are pointed, and Lexi, curious, finds herself ending up in the middle of something she could have never expected. This book will almost literally sweep you off your feet into a world that's as beautiful and poignant as any fairy tale you may have read in your childhood. The prose is as lyrical as the wind within and just as memorable. Victoria Schwab does not write with words so much so as she paints and conducts with them an image in your mind, a melody that leaves behind a story. One of my favorite aspects was that we aren't given the entire tale of the Near Witch straight off - it's something that is played out over time and as necessary, so when more bits and pieces crop up you slowly begin to unravel what's happening. Similarly, while we aren't given extensive character backgrounds for everyone we meet in the book, the words that are there are used in such a wonderfully succinct fashion that they speak volumes. Case in point: we don't need to know so much about the elders of the village, but the things offered up are stated in such a way as to make them relevant to the overall story and just enough to understand where they fit in in interacting with the townspeople in Near. I also loved learning the history of the town and seeing the relationship between Lexi and everyone around her develop. And the play on words that she does to name a character is so perfect, and becomes even more so later as things pick up. Lexi's a firecracker of a character, and what's more, she acts justly for what she believes to be the right thing, not shying away from the hard decisions in fear of what the consequences may be. While things might start off slow (not at all in a bad connotation) and explorative, they quickly build up into something fast and curious that I found incredibly difficult to set down. I read this book on one sitting and it left my mind reeling in awe of the writing style, word choice, and gorgeous character and story composition. This is not just a book for children; if you enjoy fairy tales or a well-crafted piece in general then please give this book a try. You won't regret it. Anything look a bit different to you? Just a little bit. (Or maybe a lot bit.) While I very much loved tinkering with my own code and working in photoshop to create the design for the blog and for you guys, I was sort of outgrowing my space and was looking for more organisational room so that I would have a better place to put my links and to link to your giveaways and blogs. The lovely Tawni of Forever Design Studio helped me to design a place that I felt was still fun, but simplistic and understated - just how I like it. I hope you guys enjoy the new space as much as I do! 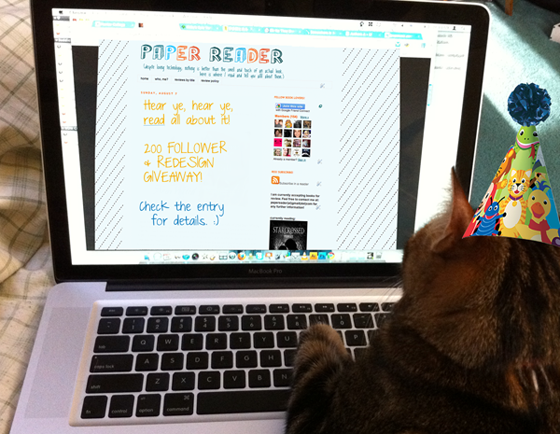 And you can now visit the blog by typing in papereader.com - so much easier. That said...I've been waiting to be able to write this post as I had decided on my very first post of the new design I would host my FIRST EVER GIVEAWAY! 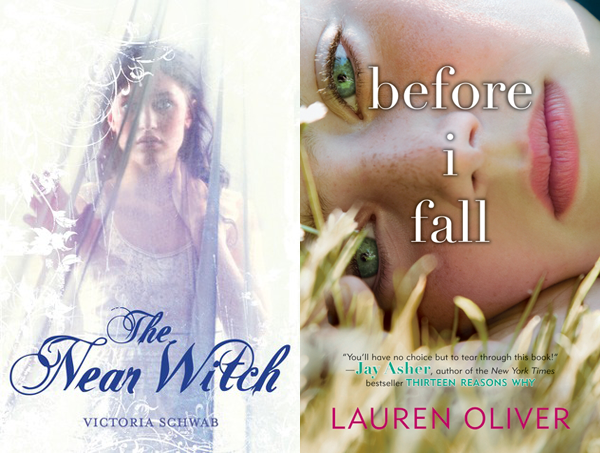 And because it's my first ever giveaway there will be TWO winners, one US-only, one international. You do NOT have to sell your first-born child, your house, or spam Twitter for any extra entries as there will not be any; everyone is equal. I do appreciate you spreading the word, however that's entirely optional. The giveaway will end when I've reached 200 followers, whenever that may be. As it gets closer I will give you a heads up on when it will be closing. Good luck, everyone! And thanks so much for coming along with me on this crazy, but wonderful, journey. EDIT: The giveaway will be ending at 11.59pm EST, Monday, September 5th. When I was younger I read a broad variety of books. I really don't look toward any one genre - if a book interests me it's the story I care about not any superimposed idea of what category it's supposed to be in. 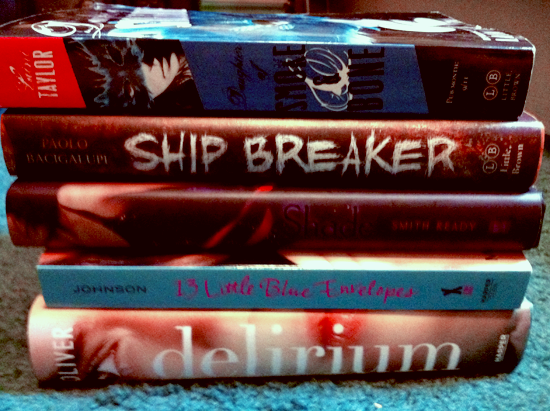 However, I did read a lot more adult fiction then only because I didn't have a YA book blog to keep up with! I still read a lot of adult fiction and literature, I just don't always post about it. These days I also read quite a bit of non-fiction, and reckon I'll have to read some more soon for school, which I'm looking forward to. I'd say for the moment that I guess I'm currently just in love with books as a whole and tend to love and discuss YA as that's a big part of what I read (and share with you!). Oh, how I love books! Just a few this week, but some that I've been very much looking forward to reading. Thank you so much to the ladies at whatchYAreading? 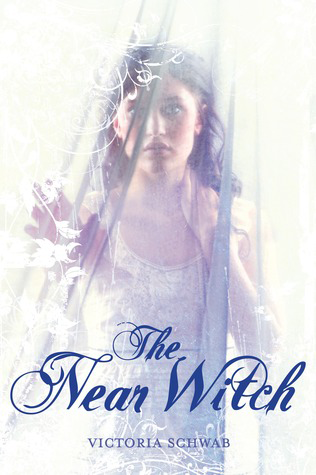 for the ARC of The Near Witch. This is one I've been eagerly anticipating along with the lovely Victoria Schwab via Twitter. I sort of did a crazy dance at work when I realised I had been selected for a copy. I haven't read it yet, but it won't be long before I give in and do so! A big thank you also to Jessi of Reading in the Corner, as I was the second place winner in her fabulous 200 follower giveaway, and I chose a copy of Before I Fall as it's a contemp I've heard so many great things about, but haven't had the pleasure of reading myself. Picked this one up after I had finished Shiver, although I think I'll wait a bit before I start it and Linger. As I mentioned in my review for the first book, I found the ending satisfying as is, but it was on sale at The Book Depository and so I got it while I could. The image here is terrible, as the actual tones of the cover are much softer. This is a scheduled post, and I should be back from camping later so I can check out what was in your mailboxes! So when her well-meaning brother brings in a consultant from a secretive organization called the Hourglass, Emerson’s willing to try one last cure. But meeting Michael Weaver may not only change her future, it may change her past. (goodreads). Emerson Cole hasn't really had an easy life. Just before losing both of her parents in a car accident she began to see things. And not just things, but people dressed as if they're recreating scenes from the past. The problem is that Emerson is the only one who can see them - and she can't always tell whether or not they're real. Now living with her older brother Thomas and his fiancée, Dru, Emerson is subjected to the occasional new age spiritualist in an attempt to cure her of her visions. Nothing so far has worked - until he introduces her to Michael from a secretive organisation called Hourglass. There's a lot that I can't say about this one in fear of giving too much away. I'm an avid proponent of not discussing what I would consider to be Big Moments of the plot in a review, so I apologise on that behalf. That said, I really enjoyed the originality of the story, and I can say that it isn't about ghosts. The aspect that I enjoyed the most is her family: they were very much present in the story and were concerned and involved in much of what was going on as things progressed. While reading I was able to see how much they both cared for Emerson and wanted to help her stop from suffering these apparitions. I loved that Dru wasn't put into the role of the evil stepmom/aunt, and her interactions with Emerson were sweet and thoughtful - ranging from picking out a dress to wear for her nights out to comforting her after a bad day. Thomas and Dru play an interesting role in the community as they're architects and stagers, and have been renovating old buildings one by one to revive the area. Emerson meets Michael at an opening (of Dru's restaurant) and from there he helps her understand what exactly it is she's seeing and what might be the cause of it. The relationship between the two of them was a curious one that starts out slow and later gets hot (literally!) and intense as she begins to figure out just why Michael can see these visions, too, and what that means for her. From here unravels a fun cast of secondary characters and a plot that I wasn't expecting but hooked me straight until I finished the book. 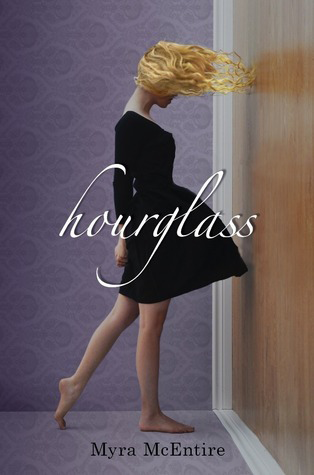 Hourglass is the first in a series, but to be perfectly honest, it ends on such a note that you could probably read this as a standalone if you prefer. It's an engaging read with interesting characters and a main idea that I haven't before read about in a YA novel, and so found it refreshing. Q: Talk about the book that most changed or influenced your life (was it a book that turned you from an average to avid reader, did it help you deal with a particularly difficult situation, does it bring you comfort every time you read it?). I also grew up reading whatever else lay around the house, which ended up in a lot of the following: any and all Dr. Seuss, National Geographic (we had a subscription at the time), tons of the Great Illustrated Classic books (Black Beauty, Heidi, Journey to the Center of the Earth...), Shel Silverstein, and these random abridged versions of books that Reader's Digest used to produce that my Pop (grandfather) had on the shelf. I also read a lot of Reader's Digest. I am grateful to each and every one of these books and people as they shaped my interest of reading to what it is today. Fun Fact: Although the cover shows a picture of a girl, the MC is indeed male. Why I Have Cover Lust: I just love everything about this cover. The textures, the shades of blue (my favorite color), the wispy branches falling in her face and the slash of red across that comes in perfect contrast. This is a book that I've had aside waiting - and boy, has it been difficult to wait - to be read for over a month now, and will get to soon as it's almost time for its book birthday. "Ooh, right," Lizzie said. "You're just some crazy bush child that your parents came home from vacation with." A fight ensues and Eve arrives - much to Ash's surprise - to bring Ash home, but that's only the beginning. Surprising things happen and Ash find herself starting over at a prep school, Blackwood Academy, located in gorgeous northern California amidst the very much present redwoods. And then the real adventure begins. What a fun book! I read this in multiple sittings, but if life had permitted me to do it in one I would have. I loved Ash. On Twitter I told Karsten that I thought she was a consistent and intelligent badass and I stand by that statement. Why is consistency important? Well, I'm not overly a fan of characters - female or otherwise - that waver back and forth on a position, or change their mind because someone said it was a better idea to do it a different way. Ash as a character was always strong, willful, but thoughtful. (And her parents, who we see at the beginning are lovely and very much present. This is a huge bonus.) She is snarky, but not in a way that puts you off and feels overbearing. I feel like she would get on well with Rose Hathaway. And not only is Ash great, but the secondary characters (although they're not really so secondary) are well-rounded and personable and fit perfectly into the overall storyline, which is... mythology! While there's been a lot of YA that discussed mythology lately, Wildefire has a completely different spin on it that's refreshing and original and mixes them all up and stand them on their heads. Many a time while I was reading was I surprised by what happened, and I was always wanting to know more - in a good way! 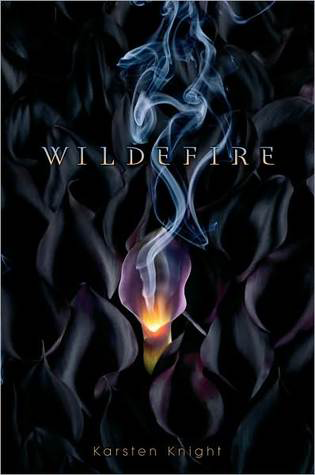 Wildefire is the first in a planned trilogy, with the next two books coming out in 2012 and 2013 respectively. And there's a lot more that occurs in the first book but it would give everything away and I'll leave the "oh!" moments to you guys to discover. Also, if you haven't checked out Karsten's vlogs at his website you should do so. They're hilarious. 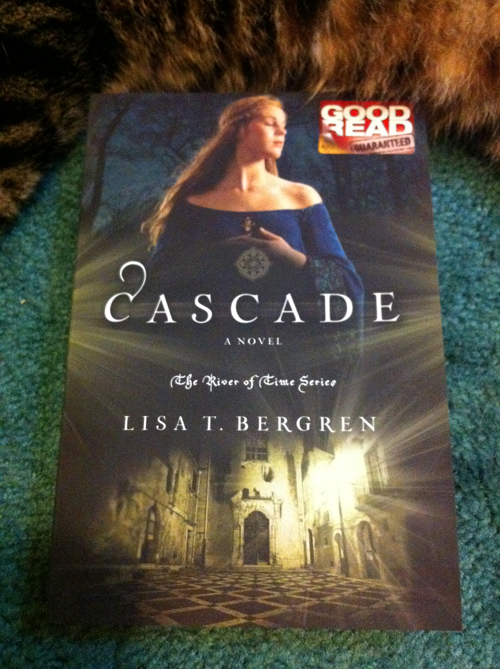 This ARC was received from Simon & Schuster via Galley Grab in exchange for an honest review.